RSGoldFund.com is your source for selling and buying RuneScape gold, swapping RuneScape gold, and RuneScape account services. Founded in early 2014, we've worked tirelessly to provide our customers with a reliable source of cheap RuneScape gold to save you money. Even now, in 2017, despite the many changes that have occurred in the RuneScape world, we are still providing the best prices for RuneScape gold. Ask one of our customers from our 25,000 strong record of safe RuneScape gold buying transactions. When it comes to customer satisfaction and price of Runescape gold, we're second to none. When it comes to buying RuneScape gold, it's important to us that you get the best price for RS gold. That's why we offer a price matching service. If you can find a site selling OSRS gold for a better price than us (including all fees), we will give you a RuneScape gold bonus to compensate you for the difference. It's our attention to detail that makes the decision to buy osrs gold from RS Gold Fund that much easier. After you make your purchase on our site, the RuneScape gold you purchased is traded to your account through direct trade, the duel arena, or any method of trading that you like to ensure the safety of your account. For safety, we do not do drop trades. Peace of mind is always a priority. We understand that buying OSRS gold or buying RS3 gold from the internet can be a little unnerving if you're new to the process. After all, we are a team of avid players and ex-players, we want to continue growing the RuneScape community, not turn people away! That's why we offer cheap OSRS gold and cheap RS3 gold so that you can grow your accounts gear and level faster. We'll even price-match RuneScape 2007 accounts from reputable competitors! Contact us to learn more. Why Buy OSRS Gold and RS3 Gold from RS Gold Fund? New customers at Rsgoldfund can save money by asking us on live chat for a discount before placing an order. It's simply that easy. Customer service agents are based in the United States and are ready to give you the best deal no matter what version of RuneScape you play. New customer discounts are available for RuneScape accounts, RS 2007 Gold, RuneScape 3 gold, and RSPS gold. RuneScape gold is the primary resource used in Runescape 3 and Runescape 2007. Buying OSRS gold or RS3 gold gives you access to better gear (armor, weapons, cosmetics, etc). The fastest way to get the weapons and armor you want is to buy RuneScape gold from RS Gold Fund. 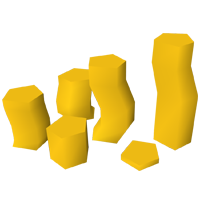 Our network of gold suppliers enables us to deliver RuneScape gold to you effectively and safely, cheaper than anyone else. Stop wasting time grinding for gold and start enjoying the game. Not only do we keep our current inventory of OSRS gold and RS3 gold up to date on the inventory ticker on the right side of our site, but we also are constantly monitoring other RuneScape gold sellers to make sure that you're getting the best deal. If you're able to find a better price on RuneScape money, we'd love to know about it! We'll match the price of other RS Gold sellers' sites. RS Gold Fund is a high-volume seller of RunScape gold. And since we have cultivated such a following, we sell billions of RuneScape gold every day. If you are looking to sell RuneScape gold, we are always looking to bring more OSRS gold and RS3 gold into our inventory. Just like buying RS Gold through us, you can be sure that your safety and security is our top priority. Reputation is everything to us. That's why our RuneScape accounts for sale and rent are not only the highest unique quality, but they're insured never to be recovered by us after your purchase. Whether you're looking for a new main, pure, skillers, stakers, or pkers you will have no problem finding what you are looking for at our Runescape 2007 accounts page. Our RuneScape accounts are affordable, high-quality accounts that can take your gaming to the next level. We deliver our RS gold orders in the safest manner possible, to avoid you getting banned. We have never had a customer banned for buying RS gold from us. Safe delivery methods are critical to ensuring that your RuneScape gold remains on your account and you keep your rs accounts safe. We know that buying things online can be difficult with so many different payment options. That's why you can buy RS gold with paypal. Paypal is the most popular payment method among our customers but we offer a variety of other methods! Buying RS gold with a bank transfer, PlayerAuctions, Western Union, and even bitcoins is easy with our convenient checkout system. Our customer service agents check to see if you've made a payment and then work to deliver your RS gold instantly! A vast majority of our customers receive their gold within 5 minutes! If you're not happy with the speedy delivery that we offer, or your RuneScape gold doesn't arrive in a reasonable time frame, we will refund your payment so you never worry about having your funds locked in a transaction that takes too long. In an industry with scammers, thieves, and people just looking to make a quick buck, it is essential that you work with a RuneScape gold dealer that you can trust. Since early 2014, we've built a track record of being a reputable OSRS gold and RS3 gold dealer. If you look at popular forums like Sythe, Powerbot, and others, you can see thousands of reports of happy customers. You can trust us to take care of your RuneScape gold needs. Billions in RuneScape gold passes through us every day and we simply refuse to be the less than the absolute best RuneScape Gold Site. Our primary goal at Rsgoldfund is to provide the cheapest runescape gold, old school rs gold, and the best place to buy runescape accounts available to our customers with the fastest delivery times possible and the most helpful customer support around. If you need any help with making a purchase on our site or have any questions about buying EOC Runescape gold, Runescape 2007 gold, Runescape accounts, please do not hesitate to ask our live chat representatives who will answer any questions you have regarding buying or selling rs gold to or from us. Please note: Even with our impressive track record, account termination is possible when purchasing OSRS Gold and RuneScape Gold. We cannot be held liable for actions taken by RuneScape administrators.